Kenseth’s momentum was all but gone and Logano took his shot.Kenseth in serious need of a victory to advance to the next round, attempted blocking Logano twice with less than 20 laps to go. 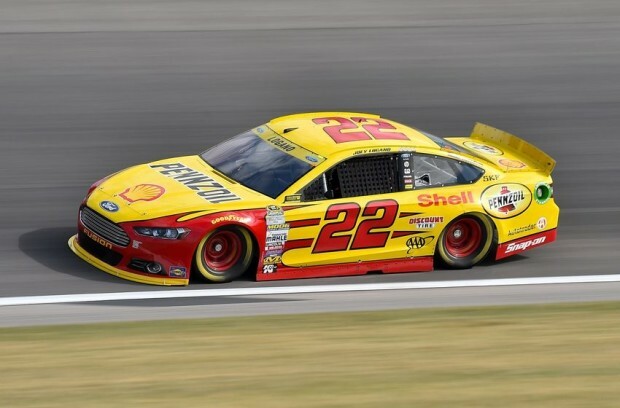 But when the two of them hit lapped traffic, Logano had enough,sending him for a spin entering Turn 1. Logano pulled away from fellow Chase contender Denny Hamlin on the restart and didn’t look back. Kenseth finished 14th. He is 31 points behind the point cutoff to advance into the Chase’s third round. He led a race-high 153 of 269 laps. 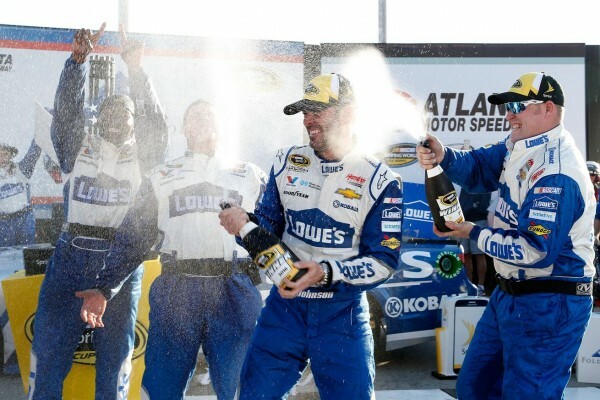 The rest of the top five: Jimmie Johnson, Kasey Kahne and Kyle Busch. Results for other Chase drivers: Kurt Busch (sixth), Carl Edwards (eighth), Brad Keselowski (ninth), Jeff Gordon (10th), Ryan Newman (11th), Martin Truex Jr. (15th), Kevin Harvick (16th) and Earnhardt (21st). Kevin Harvick was dealt a blow when he tried to leave his pit on a green-flag stop — with his gas can stuck in the car. Harvick was given a pit pass-through penalty which knocked him off the lead lap. He also found himself with a broken gear-shift handle to boot.Also Dale Earnhardt Jr.’s championship hopes were damaged on lap 165 when he was forced to the pits because of a loose wheel. He lost a lap.